The world's top 500 food experiences - ranked! We asked the planet's top chefs, food writers and our food-obsessed authors to name their favourite, most authentic gastronomic encounters. The result is a journey to Mozambique for piri-piri chicken, Japan for bullet train bento boxes, San Sebastian pintxos bars, and a further 497 of the most exciting eateries anywhere on Earth. 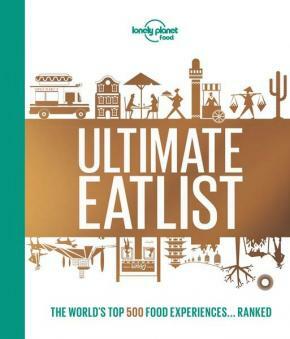 Ultimate Eatlist is the follow-up to our bestselling Ultimate Travelist and is a must-own bucket list for foodies and those who love to travel. You'll discover the planet's most thrilling and famous culinary experiences, the culture behind each one, what makes them so special, and why the experience is so much more than what's in the plate, bowl or glass in front of you.